This year's flu virus is the worst strain in eight years, according to Anthony Fauci, MD, director of the U.S. National Institute of Allergy and Infectious Diseases. There have been 53 pediatric flu-related deaths (among several other undocumented instances) since October, and the virus spans 48 states and Puerto Rico (Oregon and Hawaii have low activity levels). And sadly, we haven't even reached peak flu season yet—patient numbers are still rising, and we're estimated to have many more weeks left. To add insult to injury, this year's strain of influenza viruses include B strains (Yamagata and Victoria), H1N1 and H3N2, the latter of which has been dubbed a "bad actor" responsible for more complications and deaths than any other strain. Said U.S. Food and Drug Administration commissioner Scott Gottlieb, MD, in a press announcement Thursday, "I strongly encourage anyone who hasn't had a flu shot to get one and anyone experiencing flu-like symptoms to promptly consult with their healthcare provider about appropriate treatment." If you're skeptical about getting a flu shot, this statement may still not have swayed you. Vaccinations of different variations are constantly debated and scrutinized for their possible side effects. But with a countrywide epidemic that's as easy to pick up as touching a subway pole or sitting next to a sick co-worker (the flu virus can survive on hard surfaces for a full day), it's worth investigating the pros and cons with other informed medical professionals to ensure you're protected. Why Is the Flu Shot So Controversial? "The way the vaccine is developed is a somewhat old method and not always the most accurate," says Shilpi Agarwal, MD. "Growing the vaccine in an egg is somewhat controversial because of the virus's ability to mutate. This idea coupled with a particularly bad season is making the vaccine come into question." There are three different ways to produce the flu vaccine: egg-based (wherein the flu virus is injected into a fertilized hen's egg, replicated over several days, then extracted from the fluid of the egg. The virus is then inactivated and purified to be used as a flu shot), cell-based (similar to the egg-based method, but the virus is injected into cultured mammalian cells), and recombinant (manufacturers isolate the HA protein, which induces an immune response in humans, and combine them with portions of another virus that grows well in insect cells. This "recombinant" vaccine virus is then mixed with insect cells, replicated, and the protein is later extracted and purified). So what's the deal with mutation? What does this mean? Basically, flu viruses have been shown to mutate in eggs because they have to adapt to growing in a new environment and thus generate mutations to grow better. Because of this, studies have found that the recent flu vaccine has proven only 33% effective against H3N2 viruses (the aggressive strain discussed earlier). True, there are many different forms of the flu vaccine, but the Advisory Committee on Immunization Practices says that there is no preferred vaccine over another (although they do recommend the recombinant or the inactivated flu vaccine (in other words, any licensed flu vaccine), and the egg-based vaccine is the most common. So while it may not be a surefire defense mechanism against the flu, the CDC still says that getting an immunization is a safer choice than risking infection and not getting it altogether. Another reason some are vehemently against getting the flu vaccine is the fear of contracting the flu afterward. However, it's "biologically impossible" to contract the flu as a direct result of getting the flu vaccine. The vaccine takes up to two weeks to become protective, so you can contract the flu within that time period. You may have also been exposed to the flu before your vaccine, or you could contract a different strain of flu virus than what your vaccine prevents against. Lastly, vaccines are not 100% effective, so it's possible the vaccine will be ineffective at protecting you. Still, the vaccine will never be the cause of your flu symptoms. Finally, there is some concern regarding "mercury" in flu shots. It's true that there is thimerosal, an ethylmercury-based preservative used in multidose vials of the vaccine to protect against bacterial or fungal contamination, but studies have not found any harm in using low doses of the ingredient. It's also very different from methylmercury, the toxic mercury found in some types of fish. "The flu shot is available year round," says Mia Finkelston, MD, a board-certified family physician who treats patients virtually via telehealth app, LiveHealth Online. "That being said, it's important to keep in mind that it takes two weeks to become protective once you get it and it only lasts upward of three to four months max." "Living in the Northeast, I usually recommend Halloween or the first week of November," she continues. "This way patients are covered through mid-February. The only time it is too late to get the shot is if the flu season is over, but many experts are predicting that this season is not ending anytime soon. Timing for getting the vaccine also depends on where you live and when the winter season starts there. Keep track of trends that are occurring across the nation, and the CDC website is always a great resource for flu surveillance." If you're already feeling flu-like symptoms and want to immediately get the shot to knock it out of your system, that won't work. "Usually we don't recommend getting the vaccine if you are feeling unwell because it won't be effective for you," says Agarwal. 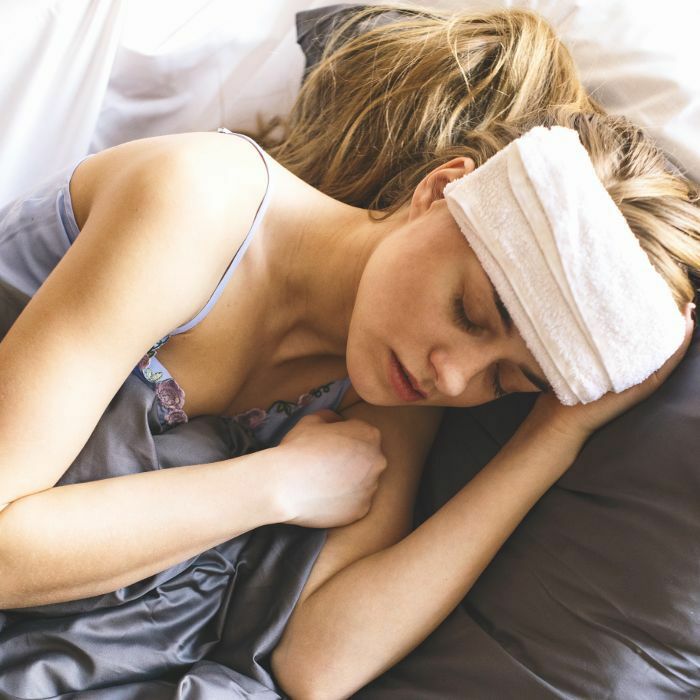 "If you're already sick, it can't help you right at the moment because it is designed to teach the body what the flu virus looks like and then have the body make antibodies or defenses against the virus." Who Shouldn't Get a Flu Shot? Young infants under 6 months are exempt from getting the shot. "The CDC recommends a seasonal influenza vaccination every year for everyone 6 months old and older," says Papatya Tankut, RPh, vice president of pharmacy affairs at CVS Health. Also, according to Finkelston, most, but not all, types of flu vaccine contain a small amount of egg protein, so if you're allergic, you shouldn't get the shot. Certain illnesses, such as Guillain-Barré syndrome (a rare disorder in which a person's own immune system damages their nerve cells, causing muscle weakness and sometimes paralysis), allergies to any part of the vaccine or a past life-threatening allergic reaction after a dose of the flu vaccine will also prevent you from being a vaccine candidate. Additionally, Finkelston says that there are some people who will opt for the live virus vaccine, which is administered via nasal inhalation, and while this form of the vaccine is not used as often, "it should not be administered to very young children, the elderly, or those with severe allergies," she explains. Is There any Difference Between Getting a Flu Shot at a Pharmacy and Getting it at a Doctor's Office? In short, no. Says Agarwal, "They should be the same, but in some cases, some places offer the trivalent vaccine (which covers only three strains) versus the quadrivalent vaccine (which covers four strains). If you get a choice, ask for the quadrivalent vaccine." Tankut explains that manufacturers create over 156 million flu vaccine doses per season and distribute them across the country and that the same vaccines are sent to pharmacies as are other vaccine providers, like your doctor's office. The most common side effects from the flu shot are soreness, redness, and tenderness or swelling where the shot was given, says Finkelston. Other symptoms include low-grade fevers, headaches, and muscle aches. However, Finkelston assures that the risk of a flu shot causing serious harm or death is extremely small. "Although it is rare, a vaccine—like any medicine—could cause severe allergic reactions," she says. "It's important to let your doctor (or your pharmacist) know if you have a history of allergies or severe reactions to the flu vaccine or any part of the flu vaccine. For the most part, those who get the flu shot have no serious problems from it." So In Other Words, You're Saying I Should Get the Flu Shot? The answer is a resounding yes. Tankut says that it's important to get the flu shot every year because the immunity provided by the vaccine declines over time. "The CDC recommends you get vaccinated as soon as flu vaccines become available," she explains. "Getting a flu shot is the most effective way to protect yourself and your family from catching the flu. With that being said, different strains of the flu circulate each season, so don't assume that if you have already had the flu, you will not get it again. If you have already had the flu this season, you should still make it a priority to receive the flu shot." Agarwal says that it's also important to note that by getting the flu vaccine, you're "protecting others around you, like young children and the elderly, who are the ones who often die from severe flu, especially this season." Debate: Should You Get a Fertility Test If You're Not Planning Children Yet?